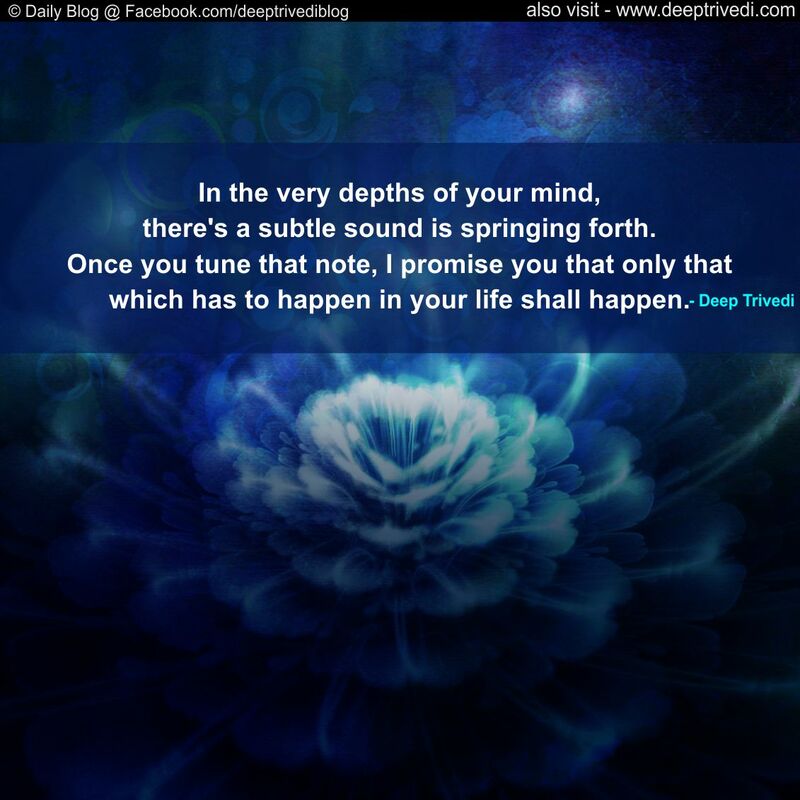 In the very depths of your mind, there’s a subtle sound is springing forth. 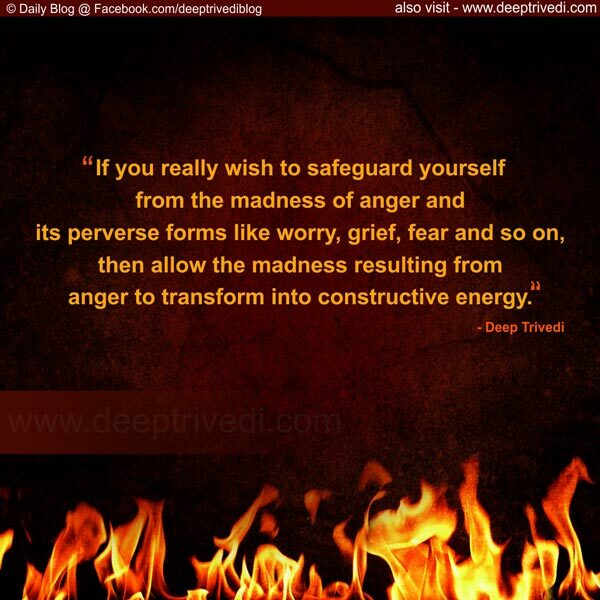 Despite suppressing, anger is never suppressed. 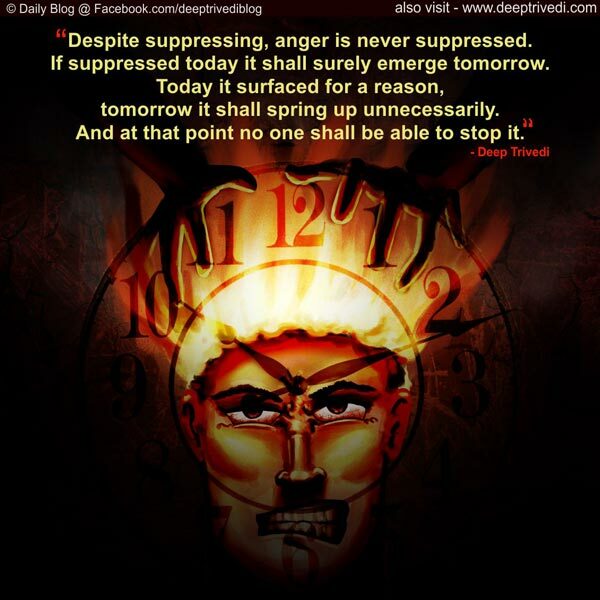 If suppressed today it shall surely emerge tomorrow. Today it surfaced for a reason, tomorrow it shall spring up unnecessarily. And at that point no one shall be able to stop it. 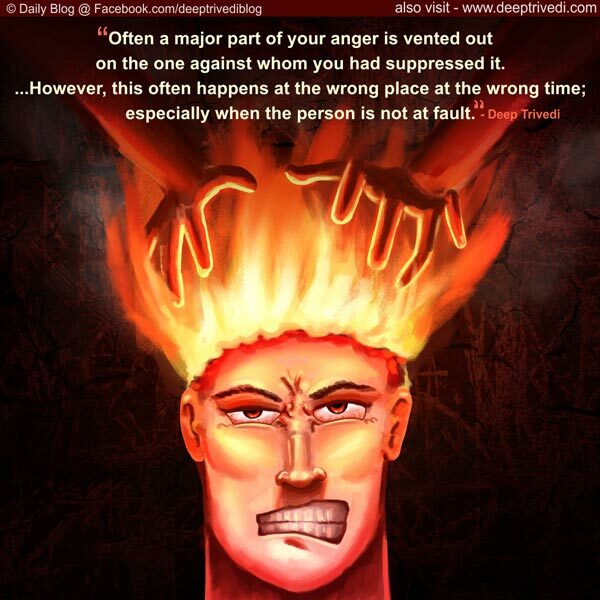 Often a major part of your anger is vented out on the one against whom you had suppressed it. …However, this often happens at the wrong place at the wrong time; especially when the person is not at fault. 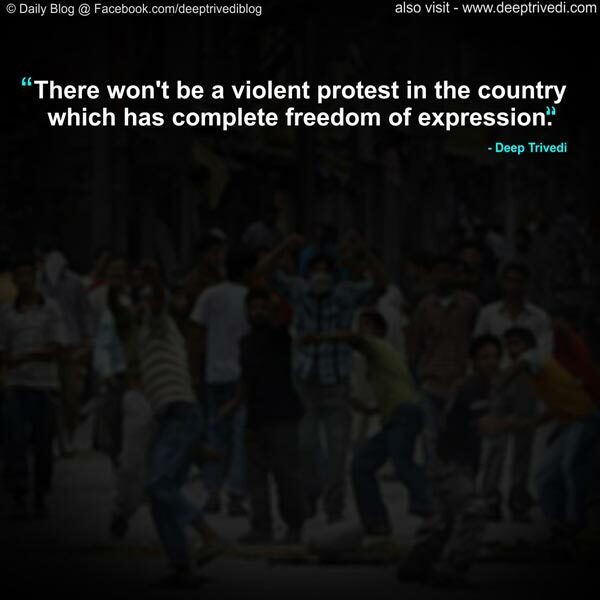 There won’t be a violent protest in the country which has complete freedom of expression. You Are Simply Amazing! 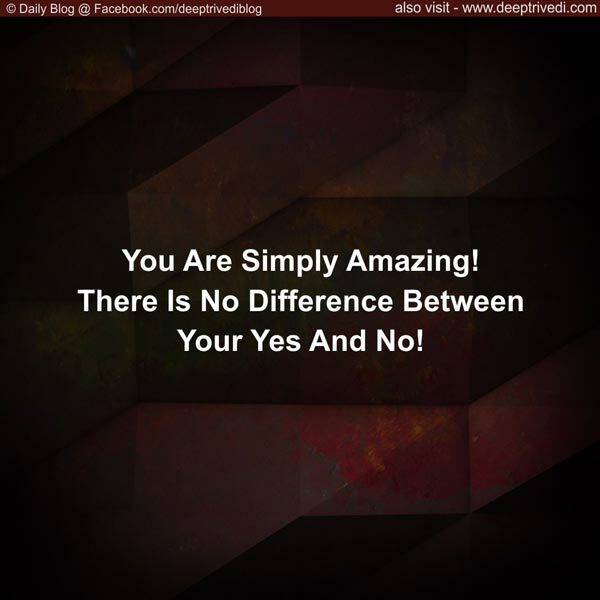 There Is No Difference Between Your Yes And No! 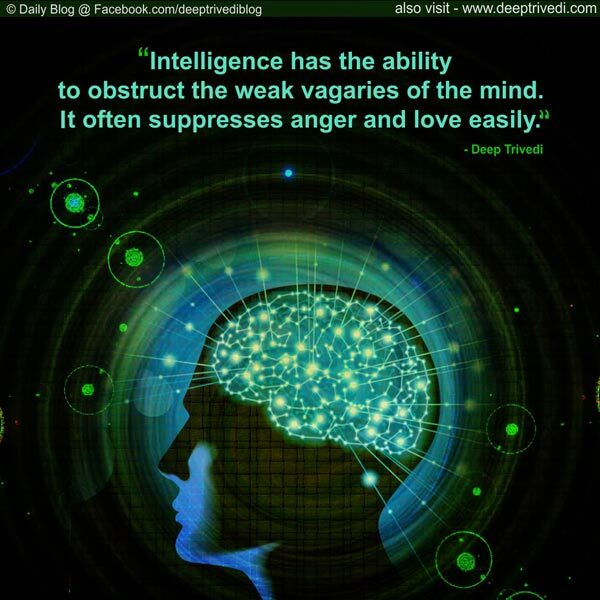 Intelligence has the ability to obstruct the weak vagaries of the mind. It often suppresses anger and love easily. How soon you overcome each incident, good or bad happening with you reveals how deeply you understand life?